Thank you Leslie Ann of the Lost Family Treasures blog for awarding me the One Lovely Blog award! 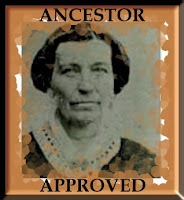 Not long ago I converted to a new blog style and incorporated my family tree of photos as the background. I'm just glad someone enjoys it as much as I do.